The U.S. Food and Drug Administration is warning pet owners that some commercial dog foods may contain livestock gullets -- throat parts from livestock -- that contain thyroid tissue and hormones, which could make dogs sick. Eating the thyroid tissue could cause hyperthyroidism, a disease that is normally rare in dogs and is usuaully triggered by thyroid cancer. The source of thyroid hormones is likely from the use of gullets from which the thyroid glands were not completely removed before adding to pet food or treats, the FDA said. The FDA said a recent investigation found hyperthyroidism in three dogs but no signs of thyroid cancer. 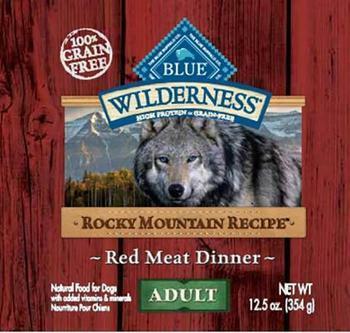 Interviews with the dogs’ owners revealed that all three dogs had been fed BLUE Wilderness Rocky Mountain Recipe, Red Meat Dinner Wet Food for Adult Dogs and/or Wellness 95% Beef Topper for Dogs. Investigators said the three dogs recovered when they were switched to a different food and their thyroid levels returned to normal. Both WellPet (the maker of Wellness) and Blue Buffalo (the maker of Blue Wilderness) initiated voluntary recalls of select lots of the affected products on March 17, 2017, after being told of the FDA's findings. Blue Buffalo has long been the target of consumer complaints alleging that its products made dogs sick. In 2016, the company agreed to pay $32 million to settle a group of class action lawsuits from pet owners. Blue Buffalo denied any wrongdoing and said health problems encountered by consumers' pets may have been caused by supplier misconduct. Symptoms of hyperthyroidism include excessive thirst and urination, weight loss, increased appetite, restlessness, hyperactivity, elevated heart rate, rapid and/or labored breathing, vomiting, and diarrhea. Continued exposure to excess thyroid hormones can cause damage to the heart and, in some cases, death. "If your dog has eaten either of these foods and is showing symptoms of hyperthyroidism, discontinue feeding of these foods and consult your veterinarian, making sure to provide your dog’s dietary history, including what the dog has been eating, how much, and for how long," the FDA advised. How do you know if the pet food you're using contains livestock gullets? The FDA advises you ask the manufacturer. At the time of the 2013 illnesses, veterinarian Joe Bartges offered tips to pet owners worried about food safety. Being alert to signs of illness is the first line of defense, he said. If your dog or cat becomes ill, switching to boiled chicken and white rice may solve the problem, but if it doesn't, it's important to get the animal to a veterinarian quickly. Kidney failure and other diseases that bedevil pets can progress rapidly and early treatment is vital. Store dry foods in a cool dry location free of pests. Also, pet owners who suspect a problem with the food should save the package and a small sample of the food in question. Be sure to contact the manufacturer and file a report with the FDA as well.